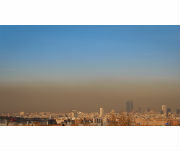 new measures to reduce air pollution, adopted pm December 18. The clean air policy package updates existing legislation and further reduces harmful emissions from industry, traffic, energy plants and agriculture, with a view to reducing their impact on human health and the environment. Air pollution causes also lost working days, and high healthcare costs, with vulnerable groups such as children, asthmatics and the elderly the worst affected. It also damages ecosystems through excess nitrogen pollution (eutrophication) and acid rain. The direct costs to society from air pollution, including damage to crops and buildings, amount to about €23 billion per year. The benefits to people’s health from implementing the package are around €40 billion a year, over 12 times the costs of pollution abatement, which are estimated to reach € 3.4 billion per year in 2030. Health Commissioner Tonio Borg added: “I wholeheartedly welcome the adoption of the clean air package which sets Europe on the right track to achieve clean air for all in the long term. The new air policy will translate into Europeans living healthier and longer lives: fewer children developing asthma or other respiratory problems, fewer people suffering from cancer, chronic respiratory diseases or cardiovascular diseases and finally fewer people dying from what air pollution does to people’s health. Health benefits alone will save society €40-140 billion in external costs and provide about €3 billion in direct benefits due to higher productivity of the workforce, lower healthcare costs, higher crop yields and less damage to buildings. The proposal will also add the equivalent of around 100 000 additional jobs due to increased productivity and competitiveness because of fewer workdays lost. It is estimated to have a positive net impact on economic growth. The proposal is based on the conclusions of a comprehensive review of existing EU air policy. It comes after extensive consultations that found broad support for EU-wide action in this area. Many EU Member States are still falling short of agreed EU air quality standards, and the air pollution guidelines of the UN World Health Organization are generally not being met. While EU air quality policy has brought significant reductions in concentrations of harmful pollutants such as particulate matter, sulphur dioxide (the main cause of acid rain), lead, nitrogen oxides, carbon monoxide and benzene, major problems remain. Fine particulates and ozone, in particular, continue to present significant health risks and safe limits for health are regularly exceeded. EU air quality standards and targets are breached in many regions and cities, and public health suffers accordingly, with rising costs to health care and the economy. The total external health-related costs to society from air pollution are estimated to be in the range of €330-940 billion per year. The situation is especially severe in urban areas, which are now home to a majority of Europeans. The package adopted today is the culmination of a major review of air policy that began in early 2011. Angola has “high” potential economic growth, even at a stage when its oil production accounts for a smaller slice of the economy, as well as the ability to become a “regional powerhouse in Africa,” according to Portuguese bank BPI. According to BPI, which is the main shareholder of Angolan bank Banco de Fomento Angola, following a period f rapid expansion after the end of the civil war (2002), China’s main trading partner in Africa will “probably face a period of more moderate growth,” over the next few years. The production sectors with potential to grow are many, including agriculture and fishing as well as exploration of natural resources other than oil and diamonds and that are “expected to continue attracting investment and may become the next drivers of the country,” said BPI in its latest report on Angola. “The geographical position of the country, the rate of demographic growth, the focus on universal education and institutional efforts to develop the local economy are some of the factors upon which this optimistic scenario is based,” the document said. BPI forecasts growth of 5.6 percent for the Angolan economy this year, and 6.3 percent in 2014. This is the most conservative of the current growth estimates for this year, which from the IMF is 5.6 percent, 6.8 percent from the Economist Intelligence Unit, and all of which fall below the figure outlined in the State Budget – 7.1%. The non-oil sector has been growing and will continue to do so at a stronger rate than the oil sector – 7.3 percent in 2013 and 9.7 percent in 2014. Angolan oil production has risen from 1.66 million barrels per day in 2011, to 1.86 million per day in 2013 and is expected to rise to 1.91 million barrels in 2014. Estimates from international organisations for Angola’s economic growth point to variations of between 5 and 6 percent over the next few years. “Macroeconomic stability will be directly related to this demonstrated ability to ensure greater transparency, which is a determining factor in Angola’s economic growth,” it said. Many forms of assistance are required when saving lives in crisis situations. Spektikor has brought to the markets the world’s lightest single-use ECG indicator and can count NATO among its clients. Another company, Telespro Finland, is specialised in the prevention of heat loss in patients. 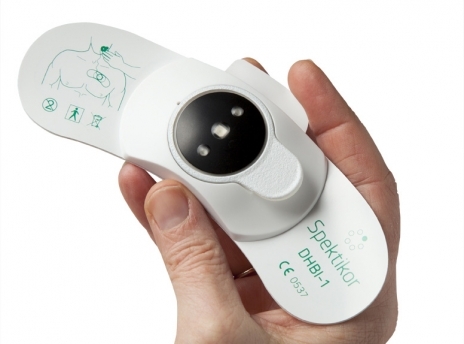 Spektikor, an Oulu-based startup company, has created a product that, according to CEO Kari Kivistö, competes with three pulse-measuring fingers. The ECG indicator is ideal for the simultaneous observation of several patients that require constant monitoring or are seriously injured. — Typical crisis situations might be accidents, natural disasters, fires or states of war. Above all, the ECG indicator saves emergency personnel time by enabling easy and fast heart rate monitoring in all types of conditions, Kivistö sums up. Spektikor’s ECG indicator is small, light-weight and easy to use. 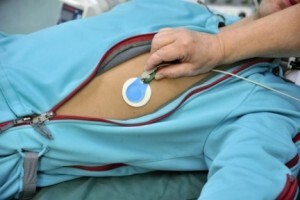 The device monitors the patient’s pulse continuously, up to ten hours at a time. A normal pulse is indicated by green blinking lights. If the heart rate does not remain between 40 and 120, the light blinks red. The company introduced the first version of the product to the markets for customers to test in the summer of 2011. From the very beginning, customers around the world were enthusiastic about the product and demand has been steady. A more advanced second version will be launched in 2014. Expectations are high. Another indicator of how successful the company has been is the delivery contract that they signed with NATO last summer. The contract will allow the ECG indicator to become available in all NATO and partner countries. — The deal was definitely a confidence booster and made us walk tall, says Kivistö and smiles. At Telespro Finland, operating in Kuopio, they know how to prevent people from losing heat in crisis situations. The company specialises in hospital and rescue service products. — A person’s body can start to cool down in a variety of situations and locations. Surprisingly, one of those places is hospital operating theatres where the temperature of nearly all patients declines enough for it to be classed as hypothermia, says Managing Director Heikki Hakkarainen. — Our core expertise is identifying precisely those situations in which a person’s body temperature can decline and in which this lower body temperature can be dangerous. We identify the causes and consequences and can create products that enable the prevention of crises. — T-Balance, our new product preventing heat loss in surgical patients, is expected to be an even bigger export success than our earlier products. During the winter we will launch four new products within the product range, so the future looks really bright, Hakkarainen concludes. A sessão oficial de lançamento do Programa Horizon 2020 terá lugar no CCB ( Lisboa), no dia 13 de Dezembro, entre as 9h00 e as 18h30. O novo Programa da Comissão Europeia de apoio à Inovação e Investigação dirige-se, nomeadamente às PME e tem um orçamento global de aproximadamente 80 MM euros. O portal reúne informação de todos os sectores de comércio em mais de 185 países. Através de 10.000 páginas de informação, as empresas podem analisar os mercados, encontrar parceiros comerciais, controlar as suas expedições, analisar divisas internacionais e aceder aos produtos e serviços do Santander para facilitar as suas operações internacionais. O Banco Santander lançou o portal Santander Trade, uma plataforma de informação online dirigida às empresas que querem internacionalizar a sua actividade. Trata-se de uma plataforma inovadora no sistema financeiro, onde as empresas podem encontrar, num único espaço, toda a informação e as ferramentas necessárias para internacionalizar o seu negócio. As empresas podem consultar mais de 25.000 estudos de mercado e aceder a bases de dados gratuitas de importadores e exportadores. Além disso, contam com informações sobre impostos alfandegários e quadros reguladores e podem aceder a mais de um milhão de licitações em todo o mundo e mais de 40.000 feiras internacionais. A informação será actualizada diariamente. A plataforma, que está disponível em www.santandertrade.com em três idiomas – português, inglês e espanhol, tem um alcance global, dirigindo-se a todas as empresas clientes e não clientes do Banco Santander. O acesso é gratuito, e até 31 de Dezembro todas as funcionalidades estarão disponíveis para todas as empresas. Após esta data, apenas os clientes Santander Totta que acedam através da plataforma de Banca Electrónica: o NetBanco Empresas, é que tem acesso a todas as funcionalidades. Num contexto global, no qual a internacionalização aparece como uma necessidade crescente, o Santander Trade vai permitir relacionar mercados e empresas, com o objectivo de captar novas oportunidades no exterior. A sua criação representa ainda um avanço significativo no posicionamento do Banco como principal parceiro financeiro das empresas na sua actividade internacional.